The German Centre Taicang is located in the central business district of the city between the Economic Development Zone and the city center. 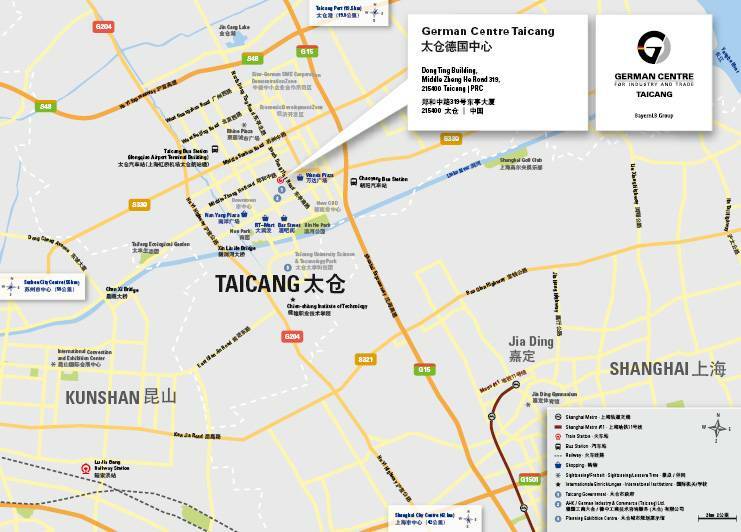 By car from Shanghai, you will only need 5 minutes to get to us after leaving the G15 Highway. From the North Jiading terminal station of the Shanghai Metro line 11 you can reach our centre in less than 30 minutes by taxi. And from Taicang Bus Station you can reach us in 10 minutes by taxi or about 35 minutes by bus 203 to the Hua Dong Qi Mao Stop.